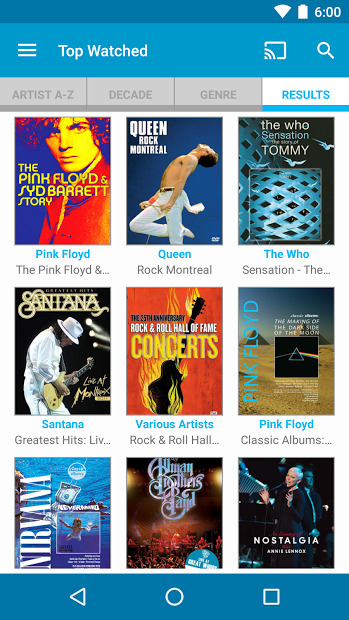 With this app you can stream and cast to your Chromecast, the ultimate collection of concert films and documentaries, to experience live performances by artists like Queen, The Rolling Stones, The Who, Rush, Paul McCartney, Eric Clapton, Bruce Springsteen, BB King, Madonna, Nirvana, Heart, Coldplay, The Black Keys, and much more. Watch concert films like Stop Making Sense and Pink Floyd’s The Wall. Enjoy award-winning documentaries like Crossfire Hurricane, The History of the Eagles, and Martin Scorsese’s George Harrison: Living in the Material World, and rediscover favorite episodes of MTV Unplugged, Classic Albums, Storytellers, and Front Row Center. 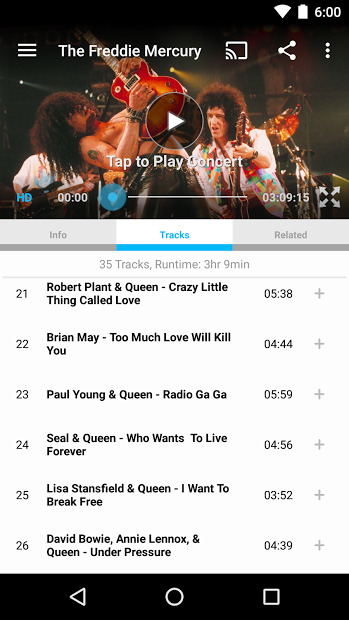 Note: The free app download provides one or more free tracks from every show, 30+ channels of continuous concert moments on Qello TV and special full-length shows, with a 7 days free-trial period of the Premium pass. Your HipHop and R’n’B radio app!